A Site about the teaching of the Buddha. Hongaku Jodo Chicago offers Foundation, Intermediate and Advanced Studies Classes. When students first come to Samatha/Vipassana meditation and Buddhist studies, they want to know how best to proceed, ensuring a thorough and successful understanding and practice of the teachings. We provide a description of our curriculum to this end, intending to supply guidance for the development of your spiritual practice. Frequency of the various class offerings is listed after the description. Pre-requisite of an Introduction or Four Foundations of Mindfulness Class, or a well established Buddhist Meditation practice is required to take any Intermediate or Advanced Studies Class, unless a further pre-requisite is given. In addition, we highly recommend taking the Four Noble Truths after the Introduction or Four Foundations of Mindfulness class, when possible. 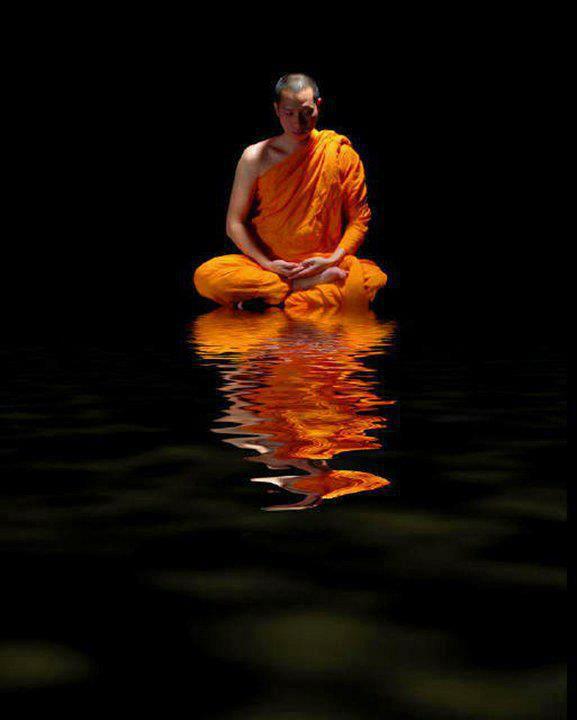 Samatha/Vipassana leads to relaxation, tranquility and insight into the nature of all phenomena. Basic sitting posture, walking meditation, mindfulness of breathing, the five hindrances, their antidotes, sweeping meditation and loving-kindness meditation are taught in this class. These practices lead to calming and concentrating the mind and heart. Wear loose and comfortable clothing. Meditation cushions provided. No prior experience necessary. Tired of suffering needlessly? The Buddha discovered the cause of suffering and the means to liberation and shared his findings via the teachings of the Four Noble Truths. He showed us a way to live bringing relief to our everyday lives, guaranteeing a promise of freedom. The three aspects of Ethical Conduct, Mental Training and Wisdom are covered in this class. The Satipatthana Sutta, MN 10, commonly called the Four Foundations of Mindfulness lays out a detailed path of practice to cultivate Right Mindfulness, the 7th aspect of the Noble Eightfold Path. The information contained in this sutta is the most widely taught and utilized Sutta today, the world over, for Samatha/Vipassana practitioners. Meditation practices are given for all four foundations. Among wholesome qualities the Buddha recommended cultivating, he named four as Divine Abidings: Loving-Kindness, Compassion, Sympathetic Joy, and Equanimity. This class includes lecture, discussion, the origins, definitions, benefits, and practices of these four qualities, with special focus on how to integrate them into our daily lives. Buddhism has expanded from a local practice mainly for monastics to one of the world’s most popular religions, and has adapted itself to a wide variety of cultures and education levels. In 21st Century middle-class America, Buddha’s teachings have been focused to our own needs and issues, but many forget that not all peoples in the world share our own particular viewpoint or cultural assumptions. This class begins with the Indus Valley in which the Buddha lived, discusses how the Buddha established his order, and continues with the early developments within Buddhism as it evolved from a local Indian sect to a pan-Asian, and then a world, system. We will pay special attention to how Buddhism adapted to America, the assumptions that are the foundations for the American “convert” to Buddhism, and some issues which may challenge American Buddhism in the future. The class will assume a basic familiarity with Buddhist principles. This class caters to those who may have experience in practicing anapanasati and want more detailed guidance on how to use the two practices of tranquility, insight and anapansati together. The class draws upon and will focus On the Sixteen Contemplations of the Breath taken from the Ananpanasati Sutta And the Four Foundations of Mindfulness. The first class cultivates four contemplations in the Body Group leading to sensitivity and calming the whole body. The second class cultivates four contemplations in the Feelings Group leading to sensitivity of pleasure and calmness and four contemplations in the Mind Group leading to steadiness and liberation. The third class cultivates four contemplations in the Wisdom Group leading to a realization of impermanence that helps us relinquish or let go. Insight is usually defined as the act or result of apprehending the inner nature of things or of seeing intuitively. The Buddha states that the end point of the training is the attainment of Nibbana, the destruction of the defilements, here and now, and the deliverance from the beginningless round of rebirths. In order to accomplish this, one must see into the true nature of things; deeply understanding anicca, anatta and dukkha. The Buddha provided specific insight practices aimed at gaining insight. In this class, you will receive specific instruction for specific insight practices. In the class you will 1) learn didactic information about the practices, 2) have ample time to do the practices 3) Q and A about the practices and 4) discuss what you discover. Insight practices taught allow you to experience anicca and anatta, progress along the path toward liberation, and diminish dukkha. The Buddha provided a prescription for attaining absolute freedom. How to do this? Since grasping causes all pervasive unsatisfactoriness, the way to freedom requires letting go of grasping. Much of our grasping, the tendency to cling to countless things is rooted ingrained in our bodies, our familial and cultural conditioning, learned, unconscious, and habitual. Familiar repetitive emotions such as fear, anger, doubt, insecurity, anxiety can serve as signposts pointing to the source of our conditioning. While certain facets of our conditioning cannot be changed, we can operate free from its affects. This is another powerful promise of the Buddha’s teachings. In this class, you will learn a detailed meditational practice for identifying sources of your conditioning, gain insight, and transform the hold this conditioning has on your life. In the Pali Canon, the Buddha speaks of cultivating seven factors that lead to Enlightenment, the uprooting of greed, hatred and delusion. The factors of Mindfulness, Investigation, Energy, Rapture, Tranquility, Concentration and Equanimity will be explored. These factors are also discussed in many of the Mahayana traditions. The Dhammapada (“Foundation of Reality”) is among classical Buddhism’s most treasured and poetic texts. Many consider it a concise, accessible summary of the Buddha’s entire teachings. These 423 short verses are a masterpiece not only of Buddhist literature, but of all human literature. During this class, we will examine the literary and spiritual form of the Dhammapada, compare modern translations, examine how this text can help make us more compassionate and wise, and explore a method of meditation which can use the verses as a guide to meditation practice. The course should be useful for experienced meditators, as well as for those with no formal meditation training. The Pali Canon forms the earliest known texts in Buddhism and is among the best collections of the Buddha’s teachings. It has gently inspired seekers of Truth for 2000 years. Come see how it can inspire you. The class will introduce the student to the background of the texts, how to usefully read them, and how to use them to assist your practice. Dependent origination is one of the central teachings of the Buddha. The twelve links in dependent origination demonstrate the interconnectedness of all phenomena and the law of conditionality. “When this exists, that comes to be; with arising of this, that arises. When this does not exist, that does not come to be; with the cessation of this that ceases.” (SN 517) Class prerequisite is a sound understanding of the Four Noble Truths. Meditation and contemplation on the five skandhas of form, feeling, perception, mental formations and consciousness lead the practitioner to a direct experience of the true nature of all phenomena, including one’s own dear self, which is emptiness. Deepen both your understanding and direct experience of this topic by attending this class. Working with the five skandhas is a prescription for freedom. This class will be an Introduction and an investigation into emptiness, also known as voidness. Emptiness/voidness is an inherent quality or characteristic of everything. Explore the truth that all things, without exception, are void of “self”. Suggested reference is the book Heartwood of the Bodhi Tree by Buddhadasa Bhikkhu. The Buddha differentiates two groups of kamma (), skillful and unskillful. What makes one kind of kamma skillful and another unskillful? It is the intention or motivation behind the action taken. “…once greed, hatred and delusion have vanished, that action is thus abandoned, cut off at the root, made barren like a palm-tree stump, obliterated so that it is no more subject to arise in the future.” (AN 24) Learn more about cultivating the skillful and diminishing the unskillful and generate good karma by attending this class. The Buddha defined Right Concentration as the first four jhanas. The course will give an overview of the jhanas, deep meditative states of concentration, instruction in accessing these states, as well as the purposes and benefits for engaging in jhana practice. The meditative absorptions develop a mind that is sharp, malleable, wieldy, and given to imperturbability, therefore most conducive to deep insight. The class includes instruction in insight practices to be done in conjunction with the jhanas. Prerequisite: Samatha/Vipassana meditators who have maintained a consistent meditation practice for a minimum of three to five years, or permission from the teacher. This class covers the traditional description of the path of practice and progress of insight as laid out in the Vishuddhimagga. We will take a section of the book each class, participate in lecture, lively discussion and focus on specific accompanying meditation practice to further one’s progress on the Path. Death is inherent in life. It is the natural outcome of birth. And yet how easily do we shy away from deeply investigating this aspect of our existence? By looking into the face of death and gaining insight we liberate ourselves to live this life more freely. Students learn a specific reflection each class to be incorporated into their weekly meditation practice.